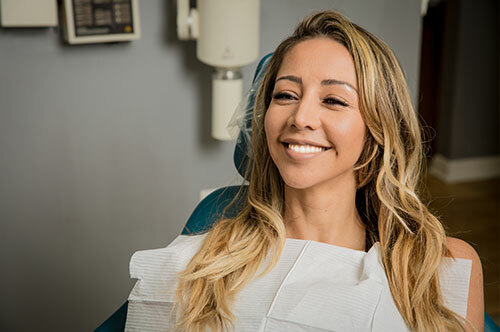 If you want to get a beautiful, straight, even, aligned, and healthy smile with no effort, then you are in luck: our veneers Fort Lauderdale FL services are performed respecting the highest quality standards by certified and experienced doctors. In case you want to learn more about veneers and their long-lasting benefits, let’s see together some important things you need to know about these dental procedures. Veneers are thin shells of porcelain or resin composite that your doctor places and bonds over your teeth. First, your doctor will make a thorough diagnosis of your teeth’s’ status. In case the recommended course of treatment is veneers, then he will take a mold of your teeth and send it to a lab. Once the veneers return from the laboratory, your doctor will prep your teeth (minimal grinding and trimming) and then bond the veneers over your teeth. The entire veneers Fort Lauderdale FL procedure doesn’t take more than 2-3 visits. At the end of the intervention you will enjoy a bright, white, and impeccable smile. They cover teeth stains, cracks, surface irregularities, gaps in between teeth, discolored fillings, and so on. They mimic the color and shine of your natural teeth, offering you straight, even, and smooth smile that will last you for years. For a week or two you will have to adjust to your new teeth and their improved shape and size. Maintenance is easy – daily brushing and flossing should be enough. You may also have to see your doctor again for follow-up in a couple of weeks after the application. Should You Choose Our Services for Veneers in Fort Lauderdale Florida? Our services come with plenty of benefits and you will be happy to learn that we offer all cosmetic and therapeutic dental treatments under one roof. You will be assigned to a certified specialist who will care for your dental health in a professional, yet friendly manner. Our doctors have almost 60 years of combined medical expertise and they follow ongoing education and training. We work with the best and latest equipment and materials so you can be sure that you will receive top-notch dental adjustments and services. Your comfort and stress-free experience is extremely important to us; our patients praise our patient care approach, our manners, the friendly atmosphere and warmth they find here, together with our in-office comforts and amenities. Pay us a visit and learn all you need to know about our services for veneers in Fort Lauderdale Florida!